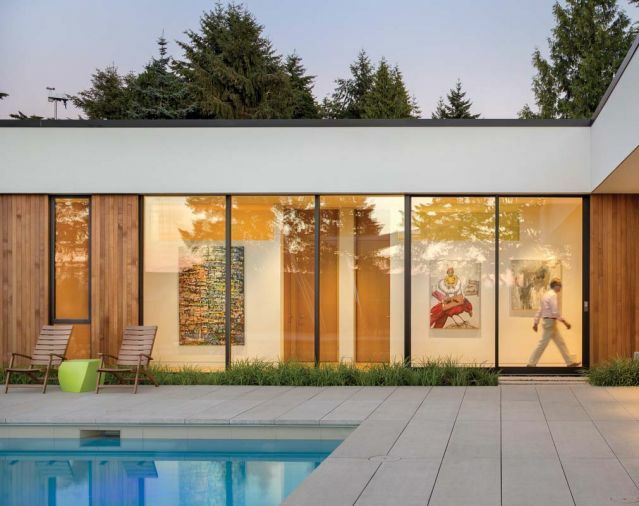 Viewed from the street, architect Tim Eddy’s Southeast Portland home almost appears to float above the ground. Fusing contemporary style with cutting edge sustainability features and alluding to a few traditional touches, Tim designed his home to create the kind of life he and his wife, Joyce Bell, wanted to live. From the entryway to the rooftop terrace and viewbox reading room, the Eddys' home is filled with delightful spaces for real life: working, cooking, reading, entertaining, relaxing and enjoying the outdoors. 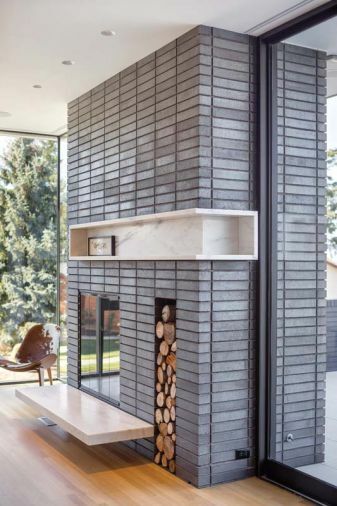 An exterior view of the LEED-compliant Rumford masonry fireplace. Common in the 1800s, Rumford fireplaces have a tall, shallow firebox that draws well while reflecting heat into the space. The Rumford masonry fireplace with recessed marble mantle provides a warm centerpiece for the living room. Facing the inner pool terrace, the workspaces afford great views of the outdoor living space and abundant natural light. The house, makes use of light-colored rift-cut white oak and walnut. 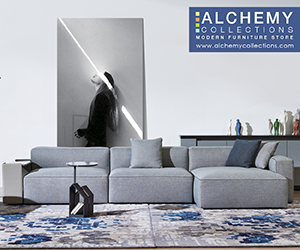 Ash+Ash beautifully achieves one of the core tenants of modern architecture: blurring the boundaries between indoors and outdoors. A paneled sliding glass door allows the wall between the kitchen and pool terrace to be eliminated completely. 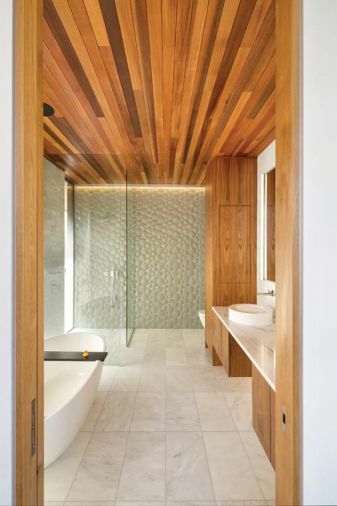 Exterior cedar cladding in similar tones to the kitchen cabinetry, as well as shared design elements between the main kitchen and outdoor sink and countertop, provide visual links between the interior and exterior of the home. The terrace is paved in locally fabricated, pre-stressed concrete pavers, which are smooth and durable as well as low-emissivity. A small second story is home to a window-filled reading room and rooftop garden with commanding views to the east, north, and west. Stairs to the second story. 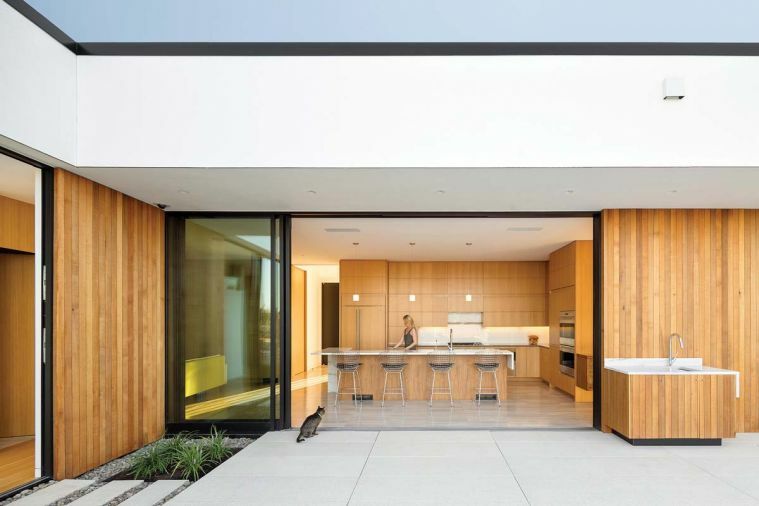 Ash+Ash was built using a simple L-shaped footprint. Private areas, such as bedrooms and the master bathroom, are located on the east wing, while more public areas like the kitchen, living room, and office are on the north wing. 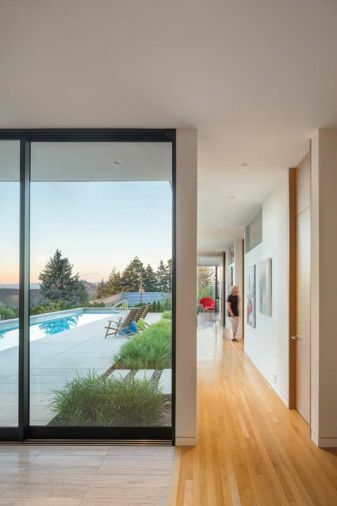 A large pocket door allows the private areas to be easily screened from the public areas, making it easy to entertain groups of various sizes without sacrificing the open, airy feel of the home. 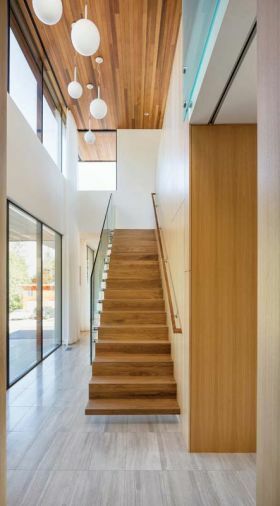 The juxtaposition of warm wood and bright white surfaces is used in several sites throughout the home, highlighting wood grain’s inherent beauty. 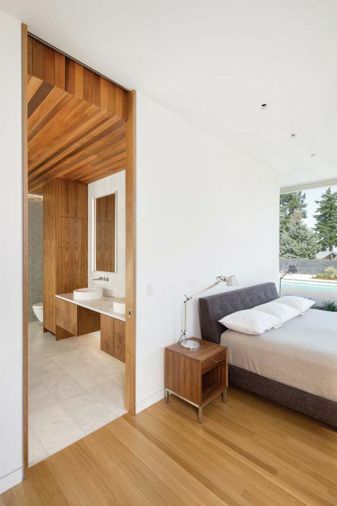 The master bedroom combines textured glass tile on the far wall with wood cladding that extends from the ceiling to the exterior soffit, creating a unique sense of enclosure. 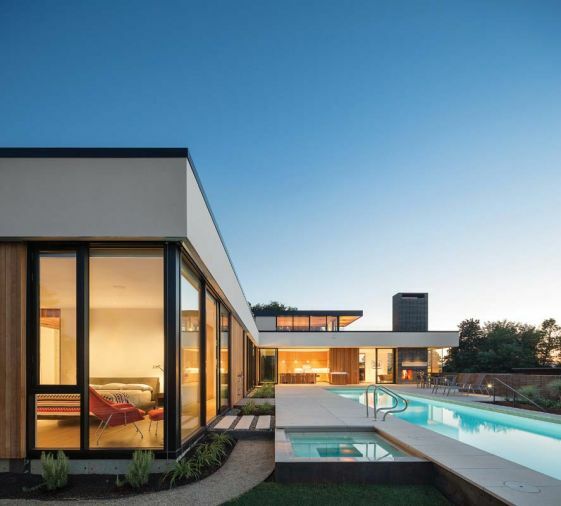 Sliding glass doors are used to open the indoor space to the pool terrace at multiple points, underscoring the integration between indoor and outdoor living areas. A central utility room off the garage gives easy access to all of the home’s systems, including the heat pump, 2,400 gallon UV-purified rainwater reclamation system, under-floor radiant heating, and pool systems. Sustainability features were built into Ash+Ash at literally every level, from a geo-exchange system buried around the perimeter of the property to a 10 KW photovoltaic array on the roof of the house. Additional sustainability elements, such as triple-glazed windows, large over-hangs, exterior blinds, a heavily insulated building envelope, and a site orientation that makes efficient use of solar energy, result in a building that does not require supplemental heating and cooling during the majority of the year. 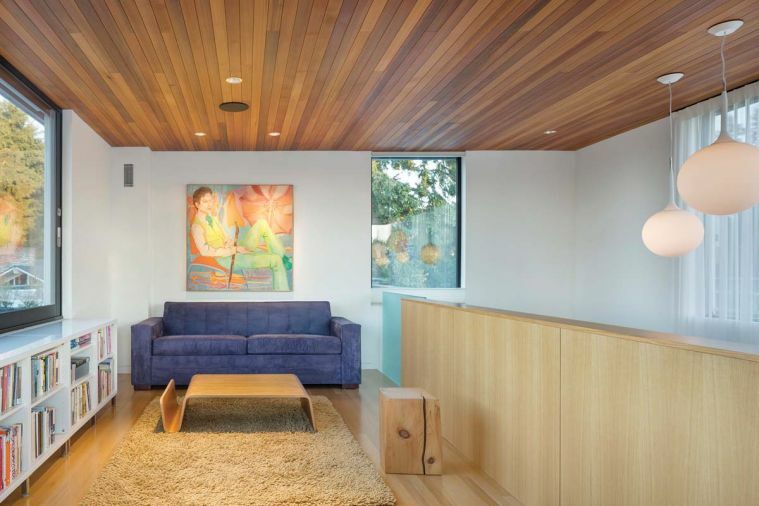 Sustainable features were incorporated throughout the home from the very beginning of the design process. “It was really important to me that we incorporate things we’ve used in commercial buildings, and some of our institutional and academic projects, as well as some things we hadn’t used and we’d only proposed. We wanted to try them, to see how they worked. 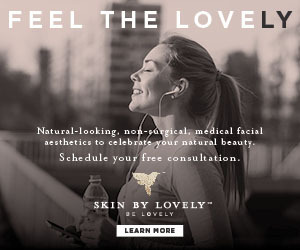 And to have the benefit of actually living with the things you’re recommending to clients,” Tim says. 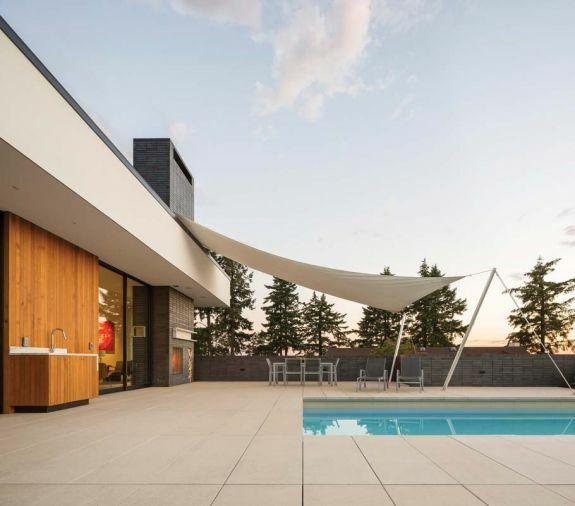 The home’s orientation on the site is ideal for its rooftop solar array as well as well as capturing light and thermal energy from the sun directly. In addition, the windows are thoughtfully shaded with exterior blinds as well as deep five- to eight-foot overhangs that limit direct sunlight exposure. The entire building envelope is also heavily insulated, combining polyurethane spray foam with traditional batt insulation. Most of the windows are triple-glazed, with the exception of big operable panels, which are double-glazed so they’re light enough to be moved. Heating and cooling systems were also a core element of the design, rather than an afterthought. 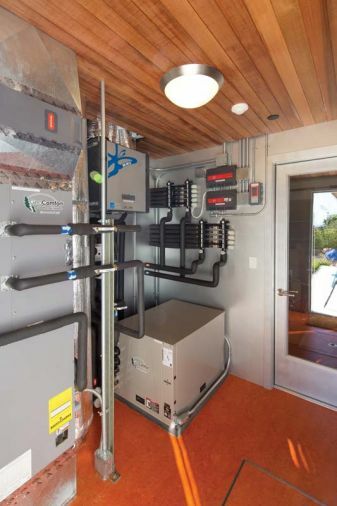 A geo-exchange heat pump system powers under-floor radiant heating which is coupled with a heat recovery ventilation system and a heat pump water heater. Unlike traditional heat pumps, which must have an outdoor unit that can be blocky and unattractive, geo-exchange heat pumps rely on a buried heat exchanger to expel unnecessary heat directly into the ground or harvest thermal energy from the ground to heat a home. To drive Ash+Ash’s system, two geo-exchange loops are buried six feet deep all the way around the perimeter of the property. An on-site rainwater collection system captures all of the rain that falls on the roof, and can store up to 2,400 gallons of water. A built-in filter and UV purification system means that water can be used for everything, even drinking. Between October and May, that system supplies most of the Eddys' rainwater. 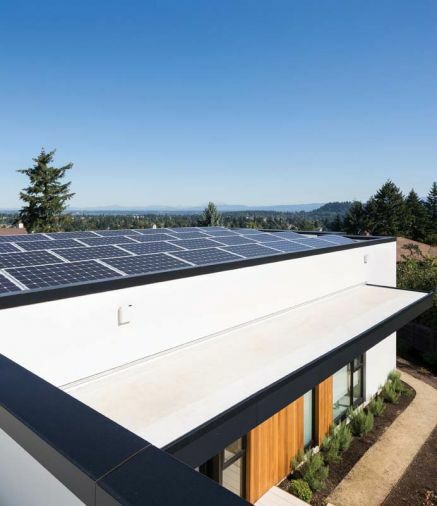 A rooftop solar system heats the pool, reducing that feature’s impact on the home’s energy use, and a 10 kW photovoltaic array satisfies most of the electric power demand of the residence. 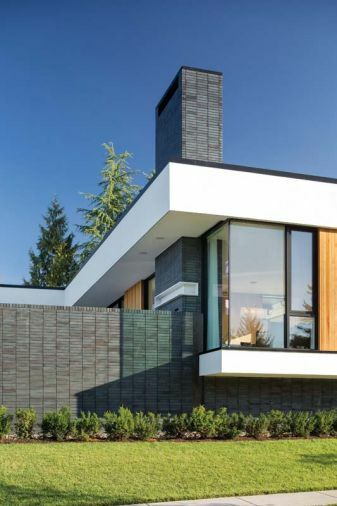 But sustainability features are just one part of a sophisticated design concept that places great importance on the home’s relationship with its surroundings and community. 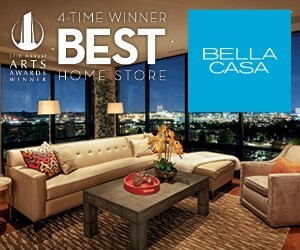 “Blurring the lines between the indoors and outdoors. That’s something architects love to say, but it’s true. This is ultimately a very simple house. It’s a simple L-shaped plan, really just one room deep all the way through, with a variety of open outdoor spaces that can be used year-round, in all seasons, and during different times of the day.” A back terrace off the guest bedrooms contains a sunny, light-filled garden filled with vegetables and cutting flowers, while a roof terrace offers great views in a setting that’s just as appealing for entertaining as it is for sitting down with a book and a cup of coffee. 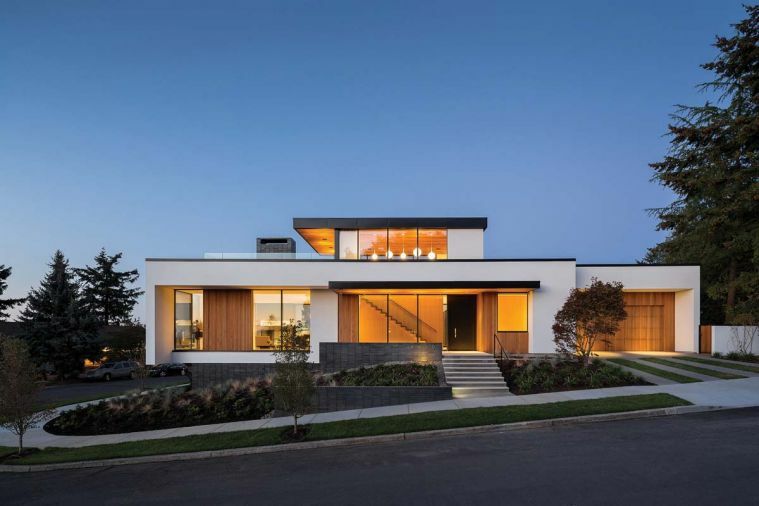 As an infill home in a relatively dense urban neighborhood, that connection with the surroundings even extends to Ash+Ash’s neighbors and immediate community. 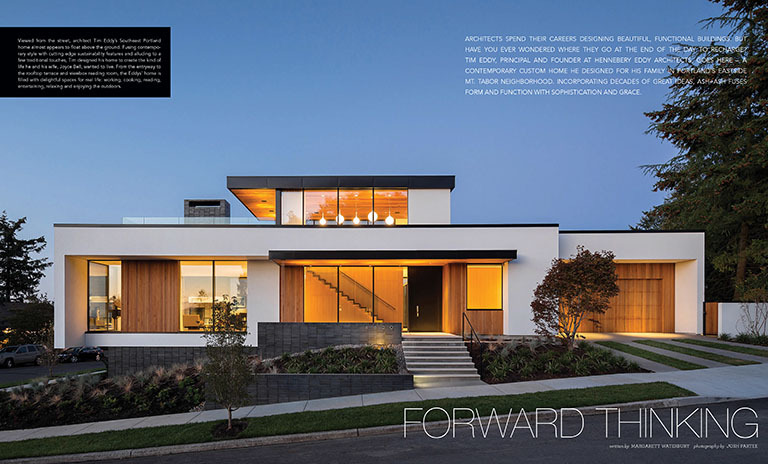 Tim and his family reached out to their immediate neighbors when they were designing the home, and kept the overall profile of the building low to preserve their neighbors’ views. A large, traditional front porch, a relatively unusual feature for a contemporary residence, invites interaction with neighbors and walkers even on drizzly afternoons.